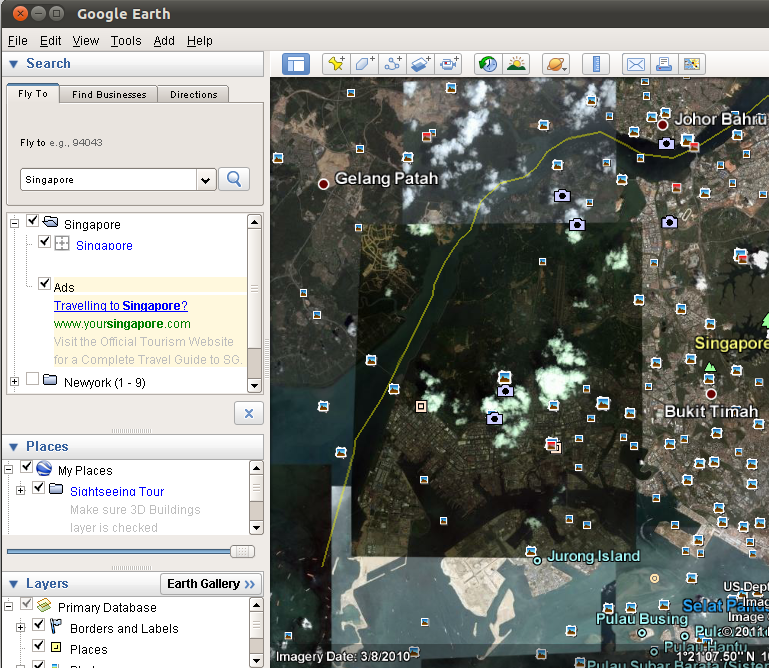 After installed Ubuntu 11.04 Natty Narwhal, one thing you might want is to install Google Earth. 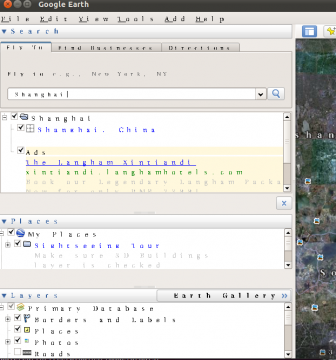 Follow is how to install Google Earth 6 from google official site and fix the bad looking fonts problem. 1.) Choose to download deb package for Debian/Ubuntu from the official site. 2.) In Ubuntu Software Center, make sure lsb-core has been installed. then, logout and back in. 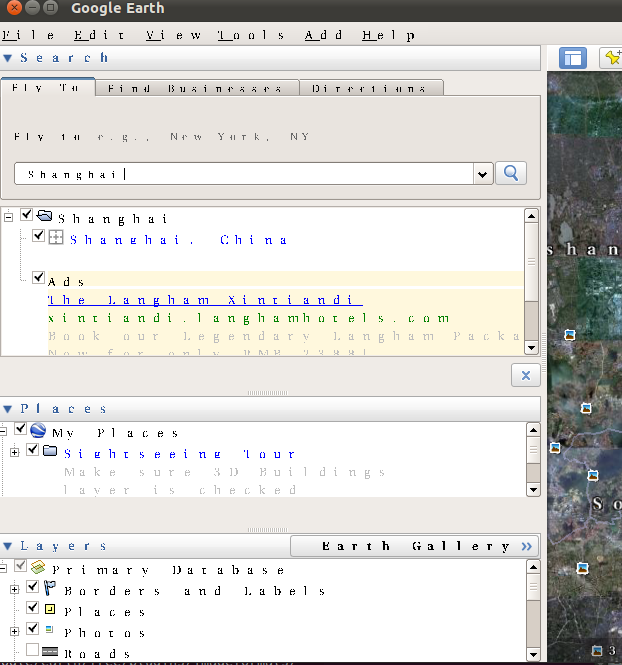 27 users responded in " Install Google Earth and Fix ugly fonts problem in Ubuntu 11.04 Natty "
Thanks very much it worked for me. I installed playon linux which installs the mscorefonts by default. I noticed afterwards google earth’s fonts looked ok. Awesome worked like a charm once I installed lsb-core. Can’t get past the ACCEPT LICENSE screen. Silly me. Mouse is disabled in terminal; use tab key to navigate to appropriate entry field. Thank you for the fonts fix. I don’t understand why does GE need the MS fonts in linux! Has anybody idea of how to tell GE, to use some other fonts? yh, like the ubuntu font!? Thank you for this note! Worked great for me. Also cleared up some problems I’ve been having with Firefox going to a foreign site and trying to make the default font (ugly) work with the page. A Twofer! Make sure to log out after installing the fonts. I followed the instructions written in this article, but font remained tha same as wou see in the picture in the article. Of course I logged ot and then I logged in. Hi, I followed the instructions installing the MS TrueType font package, but Google Earth continuous with the ugly fonts… there is something else to do?… I am running Ubuntu 11.04 with windows through wubi… could that be the problem? Ahh!!! I Tried installing the fonts, and it led me to the aggrement thing. Unable to click the ok button, i stupidly closed the terminal. Now, it says it can’t install the fonts because of a locking issue. The mouse is most likely disabled in the terminal. Use the tab button to navigate. I hope this helps. Thanks alot! This worked for me to fix unreadable fonts! thank you very much….worked fine now…..
Works great!!!! Thnx a lot!!! Just one small detail, maybe you need to restart.